A beautiful website that was admired three or four years ago is now likely to look outdated. Technology has changed, user requirements have increased and SEO algorithms updated. What was working for you, may not be working for you any longer. So, does this mean that you need a website redesign? If you are not convinced a website redesign is required, here are six key questions that will help you decide. Making your website mobile responsive is no longer a nice to have; it is a necessity. While figures will vary depending on the industry and audience, typically 52.2% of all web traffic is through a mobile device. This number is rising too. However, it is important to note that the use of multi-devices is a common trend. People want to access all sites seamlessly through their phones, laptops, PCs and tablets. Not sure if your site is optimised for mobile? There are two easy ways to check. Firstly, use Google’s Mobile-Friendly Test. Secondly, explore your website on a range of mobile devices, if it requires excessive zooming in or out or you can’t operate functions using a thumb and finger, it could probably benefit from a redesign. You know the phrase; ‘You only get one shot to make a good first impression’. Your website is your one shot. If it is not visually attractive, appealing or engaging, you’ll be missing out on valuable prospects. If it looks tired or dated, web users may question whether you are still in business. Is it easy to find help? Is everything tidy and well-presented? Can I see what I want clearly? Do I understand what is on offer, the prices and how it works? Does it look like a store I want to visit again? 3. Does It Have A Clear Message? Is it easy for web users to understand your business and offerings simply by looking at your site? If it doesn’t, then that is a poor user experience. Unfortunately, a bad user experience can cost you. Research has found that 88% of users are less likely to return to a website after a bad experience. Top Tip: Service-based websites are usually very reluctant to put prices on their website. However, this is critical information for a customer. Even putting a rough guide or ‘services start from’ on your site can help customers to find the service in line with what they are looking for. It will save you from dealing with timewasters too! 4. Is It Still On Brand? As a business grows, the branding may change. If you notice that your audience isn’t quite who you want to target or your brand message isn’t clear, then you need to make sure you start communicating in the right way for your business. You should be proud of your website and your brand message, so if something is off, it is time to realign your strategy. 5. Is It Getting Good Conversions? Your website it ultimately there to generate leads and sales. If you have a poor conversion rate, then your website isn’t doing its job. Google Analytics can be invaluable in determining what is and isn’t working on your site and whether improvements need to be made. 6. Is It Easily Found On Search Engines? Web design plays a large part in SEO. If you have a poor website architecture, outdated design and plugins or even broken links, your site will be downgraded by search engines. If you’re looking to boost your potential and gain greater visibility, it may be time for a website redesign. If you have answered no to any of the above questions, then it is highly likely your website needs a redesign. It may not need a complete overhaul, but a refresh and a few tweaks may be enough to satisfy the search engines and more importantly, make web visitors more inclined to explore your site and ultimately choose your business over your competitors. 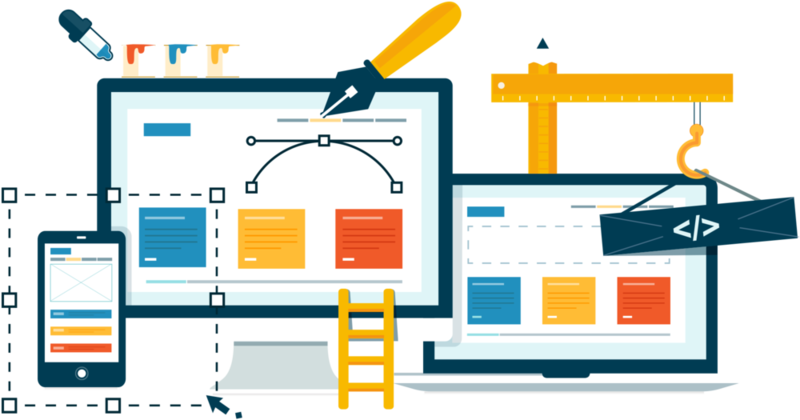 It is well worth asking the opinion of a professional web designer to give you pointers on where your website needs to go so that it can work harder for your business.